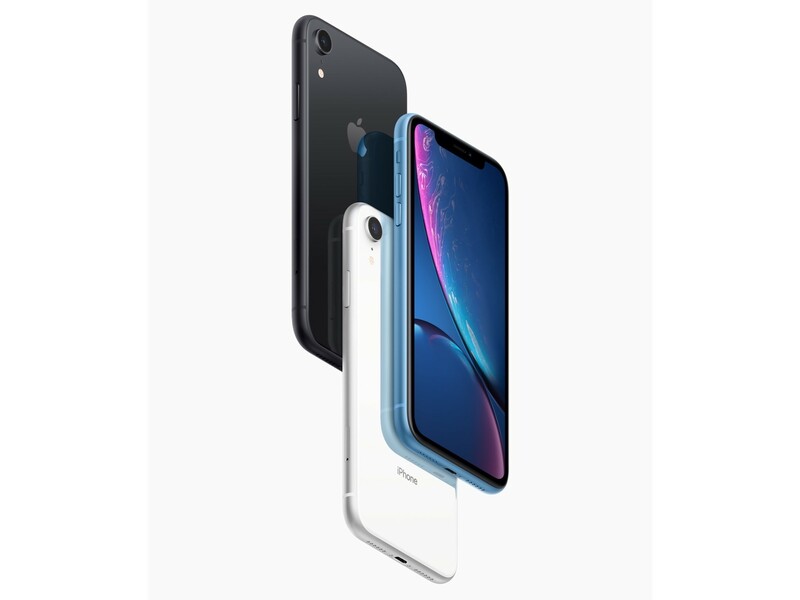 Posts tagged with "iPhone XR"
Apple today updated its online store with the addition of three new products: Smart Battery Cases for the iPhone XS, XS Max, and XR. Every version of the case costs $129, regardless of iPhone size. Each new case is available in both Black and White, and the designs resemble that of the previous Apple Smart Battery Cases, with a silicone exterior and a large bulge on the back to accommodate the battery. In the past, Apple hasn't made Smart Battery Cases available for Plus-sized phones, so it's great to see that now, regardless of your iPhone size, you can get a case that raises battery life to meet the needs of heavy use. In October, shortly before Apple began taking preorders for the iPhone XR, an Apple press release surfaced in Canada that mentioned a clear case for the phone. However, when the XR went on sale, the clear case was nowhere to be found on Apple’s website or in its retail stores. Today, the case of the missing clear case has been solved. 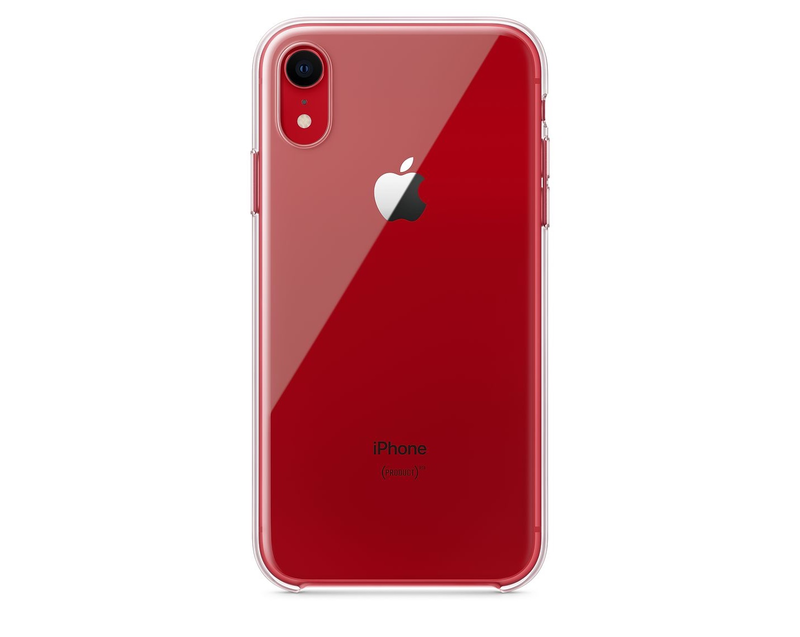 As MacRumors first reported, the iPhone XR clear case went on sale today on Apple.com for $39. Apple describes the case as ‘thin, light and easy to grip.’ The company also says that the case includes a scratch-resistant coating inside and out and works with wireless Qi chargers. 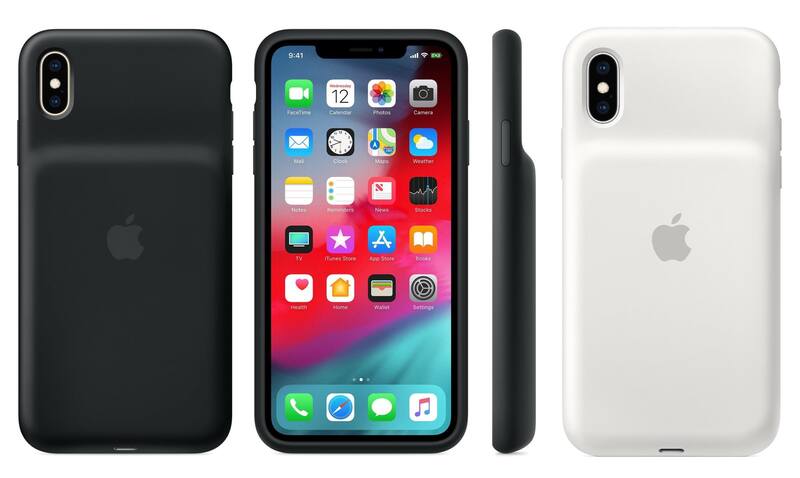 Although third-party cases have been available since the iPhone XR was released, this is the first XR case offered by Apple. 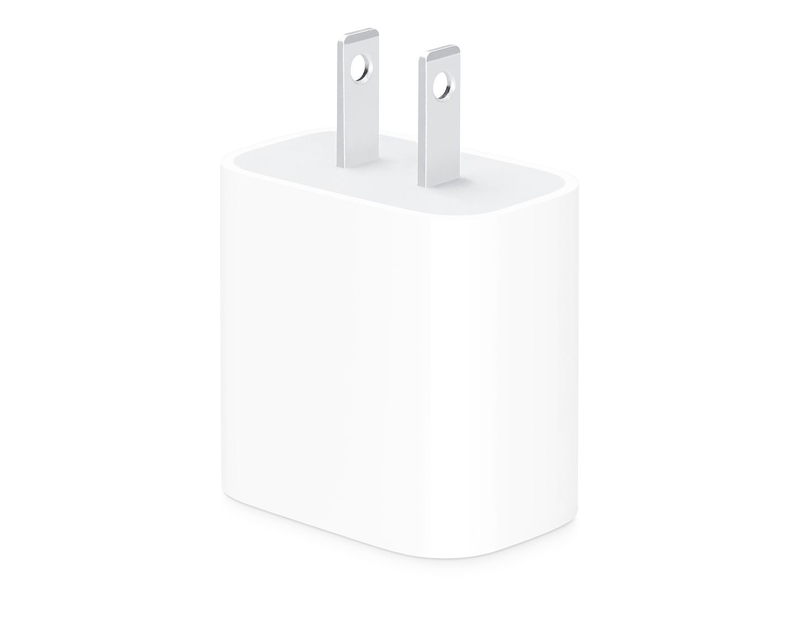 Also, 9to5Mac separately reports that Apple is selling an 18W USB-C charger for the latest iPad Pros which costs $29. Until today, the 18W charger was only available in the box with a new iPad Pro. In an interview with CNET, Apple Vice President Greg Joswiak revealed that the iPhone XR has been the best selling of the latest iPhone models every day since it was launched, a statement that is no doubt aimed at recent reports that XR parts orders have been reduced due to weak demand. Joswiak declined to provide specific sales figures to CNET. Joswiak also said that Apple would again be marking World AIDS Day by making a donation to support Red, a nonprofit founded by U2 band member Bono. 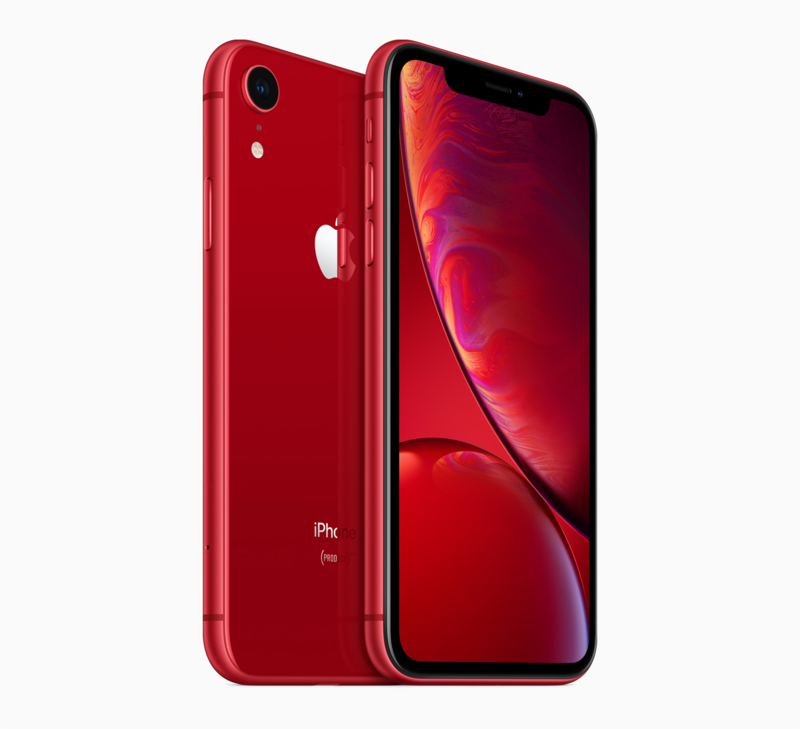 Apple is a long-term supporter of Red and has participated in World AIDS Day in a variety of ways over the years, raising $160 million since the group was founded in 2006. The company will donate $1 for every Apple Pay purchase at an Apple Store, Apple.com or through the Apple Store app from Dec. 1 to Dec. 7, and it plans to turn 125 Apple Store logos red in honor of the day. That’s similar to last year, except that this year the donation does not include in-app transactions, and Joswiak told CNET the App Store is not participating with any special promotions this year. That’s a shame because past Red-themed promotions raised awareness of Red’s efforts to combat AIDS as well as funds to support the group’s work. Ben Sandofsky from the team that makes the Halide iOS camera app has a detailed post on the iPhone XR’s camera and how Apple creates Portrait Mode photos with a single lens. Sandofsky walks through how Apple uses Focus Pixels to develop a rough Disparity Map and combines that with a Portrait Effects Matte to create Portrait Mode images. It seems the iPhone XR has two advantages over the iPhone XS: it can capture wider angle depth photos, and because the wide-angle lens collects more light, the photos will come out better in low light and have less noise. …most of the time, the XS will probably produce a better result. The higher fidelity depth map, combined with a focal length that’s better suited for portraiture means people will just look better, even if the image is sometimes a bit darker. And it can apply Portrait effects on just about anything, not just people. Although Apple’s Camera app can only take Portrait Mode photos of people on the iPhone XR, the upcoming Halide 1.11 update will combine the XR’s Disparity Map and Halide’s own blur effect to apply a similar effect beyond human subjects. Sandofsky admits that the feature isn’t perfect due to the low quality of the Disparity Map created by the XR, but the photos included in his post show that it can take excellent pictures under some conditions. It’s remarkable what is being done to squeeze depth information out of the XR’s single lens and instructive to understand how the underlying technology works. It’s also apparent that Apple has made significant advancements since the introduction of the first dual-lens cameras. But so far, after five days of reviewing the device, the biggest problem with the iPhone XR is that it’s mostly good — which makes picking an iPhone in 2018 more confusing than ever. Those differences are interesting, and worth pulling apart, but really, the simplest way to think about the iPhone XR is that it offers virtually the same experience as the iPhone XS for $250 less, but you’ll be looking at a slightly worse display. As the reviews bear out, these are relatively minor differences that most users won't notice. The iPhone XR LCD definitely shifts a little pink and drops brightness quickly when you look at it off-axis, which often leads to a bit of a shimmery effect when you move the phone around. I noticed that shimmer right away, but I had to point it out to other people for them to see it; it’s one of those things you might not notice at first but you can’t un-see. Apple told me the XR display should match previous iPhone LCDs in terms of performance, but side-by-side with an iPhone 8 Plus, the off-axis shifts are definitely more pronounced. So Apple built little apertures for the pixels around the corners of the XR display to mask some of the light coming through, on top of antialiasing the curve in software. It’s a neat example of Apple’s attention to detail. Like the XS, iPhone XR photos look incredibly even and preserve highlight and shadow detail more aggressively than any camera I’ve ever used before, at the expense of contrast. It’s a conscious aesthetic decision, according to Apple — the company knows Smart HDR photos look different from traditional photos that have lots of contrast, but the bet is that people will get used to it and eventually prefer this look. And in some cases, I prefer it to the Pixel 3. Portrait Mode is usable on the XR in some low light situations where it’s unusable on the XS. The iPhone XR is everything Apple says it is, and it’s the new iPhone most people should buy. I’ve been using one as my primary phone for the last week, and it’s a lovely, exciting device. Even some of the things I thought were compromises don’t feel like compromises at all in practice. Overall, yes, the XS and XS Max are better devices, but in a few regards the XR is actually better. When I first picked up the iPhone XR, it felt like the big questions would be about what the XR was missing compared to the XS. But now that I’ve used this thing for a while, that seem like the wrong way to think about it. The real question for iPhone buyers is whether the high-res OLED display on the XS is worth $250 more than the XR. Because otherwise, the XR offers almost everything you’d want in a 2018 phone. The reviews highlight a few interesting details too. According to Gruber, ‘Portrait Mode on the iPhone XR does not offer the Stage Lighting or Stage Lighting Mono lighting effects.’ Patel reveals that the skin smoothing controversy that erupted in the wake of the XS launch is an HDR photo bug that will be corrected in iOS 12.1. Patel also says he's been told that the lack of a X, XS, or XR battery case is a deliberate choice to avoid antenna interference. If you're thinking about buying an iPhone XR, check out the Daring Fireball, The Verge, and BuzzFeed reviews in their entirety, especially for the excellent camera comparisons. Phil Schiller, Apple’s Senior Vice President of Worldwide Marketing, was interviewed by Engadget about the iPhone XR, which will begin arriving on doorsteps and in stores on Friday. "I love cars and things that go fast, and R and S are both letters used to denote sport cars that are really extra special," he said with a smile. "I think the only way to judge a display is to look at it," he told me, adding that Apple calls these screens "retina displays" because your eye can't discern individual pixels unless you press your face up right against the glass. "If you can't see the pixels, at some point the numbers don't mean anything. They're fairly arbitrary." I’m looking forward to trying the XR, especially the camera. I ordered one for my youngest son, which arrives Friday. One of the conditions when my kids get an Apple product that I don’t buy for myself is that I get first crack at it for MacStories, so I plan to do some side-by-side photo tests with the XR and XS Max soon. If the early indications are correct, I expect the XR will hold up reasonably well to the dual-lens models. For more from Schiller about the XR, be sure to check out Velazco’s full interview on Engadget. Today a variety of YouTube videos have been published featuring hands-on looks at the iPhone XR, which becomes available for pre-order tomorrow and ships Friday, October 26th. We've embedded several of the best videos below. One common message across multiple videos is that the iPhone XR doesn't feel at all like a budget phone. Despite its similarities, this isn't the iPhone 5C all over again; instead, the iPhone XR feels very much like a premium device, just at a much lower cost than the iPhone XS and XS Max.